More often than not, my first interaction with this dialog is to click the pencil icon to reveal the path. I then paste the path from my terminal window (pwd), which is often many times faster than clicking around within the open dialog to get to the same path. How do you make the location input field in the "File Open" dialog always be displayed, regardless of the application (e.g., GIMP, Inkscape, and other applications)? How do I set the default sort order in open file dialog to "Name"? The path will aready be selected ready for copy & paste. Untick the option to switch back to breadcrumb view. 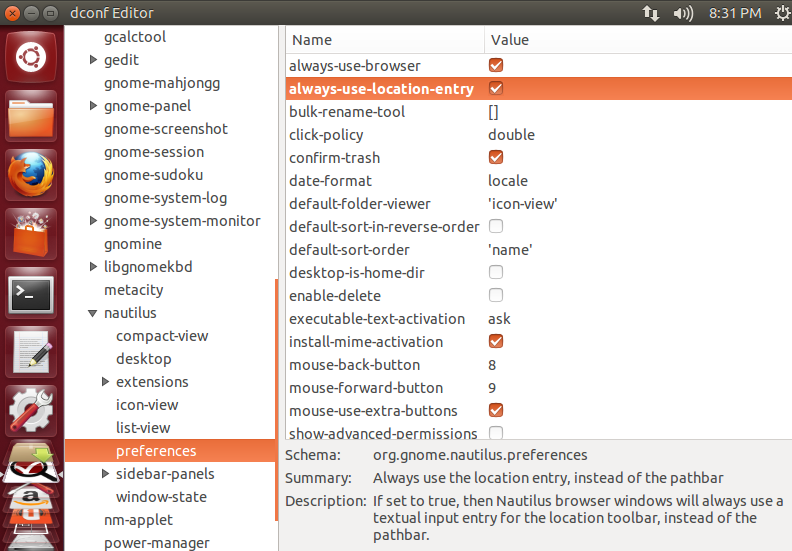 For older Ubuntu releases using gconf-editor browse to apps -> nautilus -> preferences and untick always_use_location_entry (see this question). To my knowledge we can't change the default behaviour in Thunar. Not the answer you're looking for? 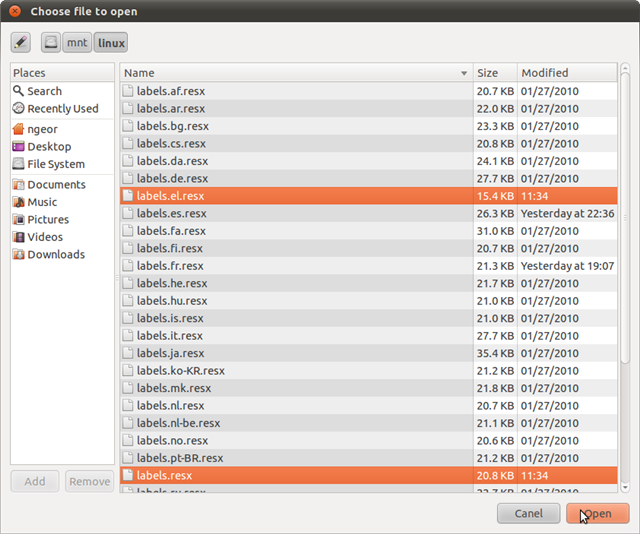 Browse other questions tagged gtk filemanager xubuntu dialog or ask your own question. How can I copy a path out of a open/save dialog and paste it into Nautilus? How do I set the default sort order in open file dialog to “Name”? How to disable the Nautilus searchbox? Where is the “Search” place in the file open dialog? Interactive “open with” dialog mod? Load file and save file dialogs Xubuntu 16.04.1: How can I just enter the complete path instead of picking by mouse actions?